Homespun Stitchworks..... For the love of vintage: Vintage linens and embroidery stitches .... garden and flowers. Vintage linens and embroidery stitches .... garden and flowers. The September days here in England are so very warm! and long may it continue. I am still able, in the day to sit in the garden. Although we have swapped over our garden furniture. Our lovely wooden set has been put to bed for the Winter and our plastic one is out now. If it rains, well no problem! Yesterday I was sat in the garden and although the colours are changing and our plants are coming to an end, the butterflies and bees do not seem to notice it is really a warm Autumn. They are busy fluttering around and it is lovely to watch. I feel when stitching bees now, the Turkey Stitch would be perfect, so that they stand out and are as fluffy as the real thing is. I am thinking of doing a picture with lots of flowers and have found a wonderful saying to go with it. I thought I would sketch some of the cornflowers and sweet peas that are still hanging on and having a last flowering. 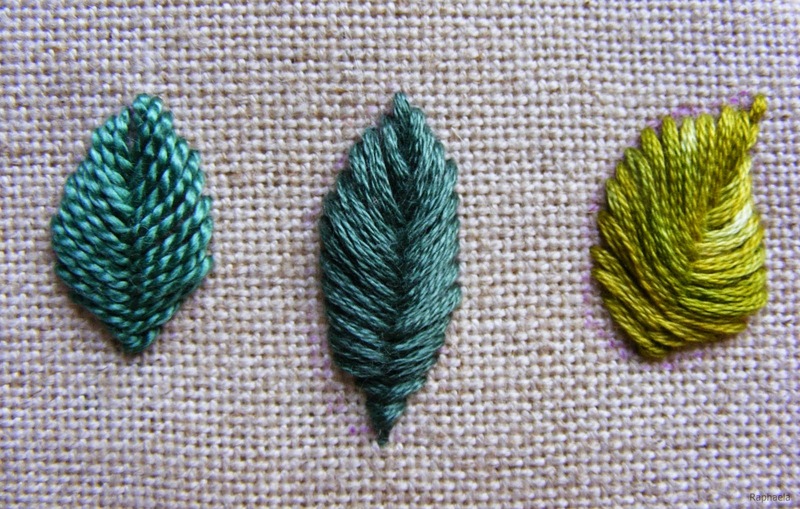 In addition to that I want to go and collect some leaves to take a closer look at how I may stitch tiny ones but with great detail, if possible! Anyway I am off now with my day planned. Have a great day yourself and Happy Stitching!